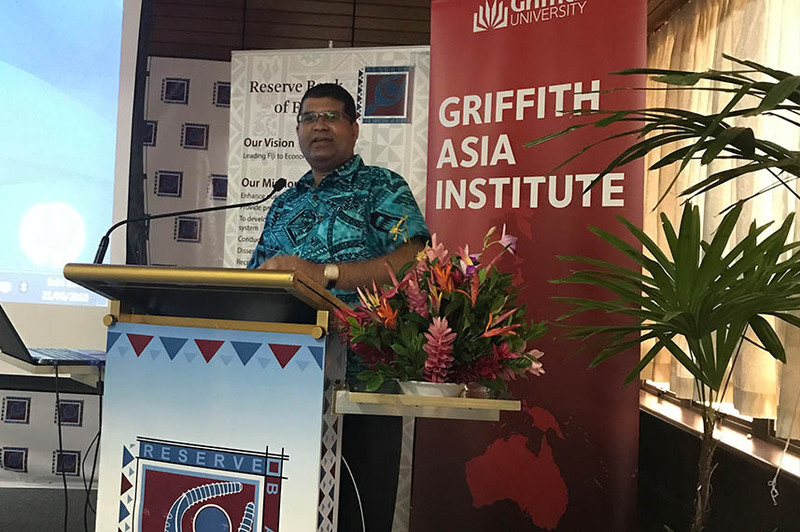 On 21 June 2018, Dr Parmendra Sharma and Mr Esala Masitabua convened a Griffith University – Reserve Bank of Fiji joint research. The seminar, held in Suva and sponsored by the Department of Foreign Affairs and Trade and the Reserve Bank of Fiji, was a follow up on the January seminar series held in Brisbane titled “Developing capacity for research and policy formulation at the South Pacific Central Banks”. For more information about the South Pacific Centre for Central Banking, visit the SPCCB website.